Why do you need to pay to volunteer abroad? Get insight into the cost of hosting volunteers. 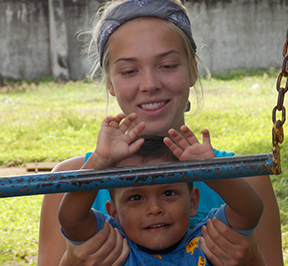 Learn how to find low cost volunteer abroad opportunities. As a registered non-profit we only cover cost, so 100% of your program fee goes to those in need. Our programs have no hidden or extra charges involved – food and housing are usually included in the cost. Guaranteed lowest program fees in the US – starting from $100 - $200 per week. 18 countries, 200 projects and thousands of happy volunteers since 2003. It may seem counterintuitive to have to pay money to do free work, but the truth of the matter is that great volunteer abroad organizations need money to sustain themselves and to keep providing safe and trustworthy volunteer opportunities for the thousands of people who volunteer abroad each year. Many volunteer abroad organizations are registered as NGOs (non-governmental organizations), meaning they don't receive funding from the government. This means that most if not all of the money needed to keep the organization alive comes from its volunteers. You've probably noticed that there is usually a registration/application fee, and a program fee. Each serves a different purpose. The important thing is that your organization remains transparent about what your money is being used for. Ask your organization if they can provide you with a breakdown of money allocation, or look on their website to see if they have a page dedicated to explaining this. At the end of the day, these organizations are still businesses, and they rely on your money to function. But you are also paying to receive many helpful services, both before and during your trip abroad. The list below provides a breakdown of what you are paying for, and why it's so important to pay to volunteer abroad. This is a flat, one time fee that you pay to the organization and is not connected to your program or length of stay. Its main purpose is to cover administrative costs that sustain the organization. It's used to pay for advertising/marketing, operating expenses of main offices (utilities, rent, etc. ), salaries, and other expenses. Without this fee, your organization would not be able to provide you with any of the support that you would need as a volunteer before and during your time abroad. The amount you pay for your program fee is directly connected to the country you visit, the project you choose, and the duration of your stay. The program fee is generally split in three main categories – money that you give to your host family for food and accommodation, money for in–country office expenses and staff salaries, and a percentage for project donation, which goes directly to the project you are working with. All of these expenses are extremely necessary to ensure that your time abroad is safe, comfortable, and worthwhile. In–country staff members have a big responsibility to ensure all programs are running smoothly, host–families are vetted, and all volunteers are safe. So, why pay to volunteer? The answer is clear in the breakdown above. 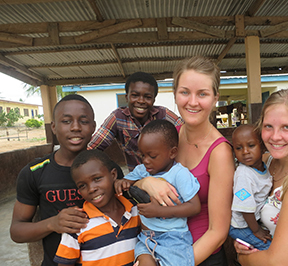 The money you pay to volunteer abroad is both an investment and a safety net. It's an investment in the organization you choose and in the country you travel to. And the safety net that you build will make sure you have the best conditions to create lasting change in your host country. Where is a good place to volunteer?